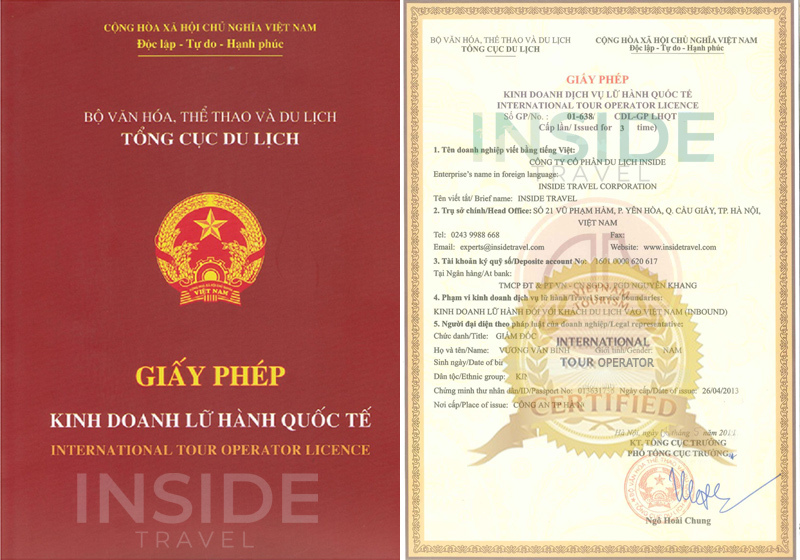 Taking part in this tour, you will be amazed at the magnificent beauty of the ancient capital of Vietnam and what is so-called "a terrestrial Halong Bay". Rather than opportunity to enjoy a relaxing and exciting time, you can even learn more about Vietnamese culture and history as well. Tourists will be picked up at the hotel at about 8:00 in the morning. Then you will take a 2-hour drive together with our guide and driver southwards to Ninh Binh province. Our very first stop is the ancient capital Hoa Lu with two temples dedicated to the King Dinh and King Le, the founder of the capital in 10th century. At noon, we will enjoy lunch in a local restaurant with special local dishes. In the afternoon, we will row boat for about 2 hours along Tam Coc stream. There you will marvel at the spectacular scenery of paddy fields and mountain ranges on riverfront. Then we will return the quayside and have a short transfer towards the famous Bich Dong Pagoda which was built about three centuries ago and is romantically charming in terms of architecture and history. Our back departure ends in Hanoi at about 7:00PM.